911 dispatchers in Oregon had a busy evening on Tuesday as panicked citizens flooded the phone lines after receiving an emergency alert warning of a “civil emergency” in progress. Authorities quickly attempted to calm the public admitting that there was a “technology issue” and the message was sent in error. Around 8pm last night, the message was sent to residents of Marion County and its surrounding areas. “Civil Emergency in this area until 11:28 PM PDT,” it read. 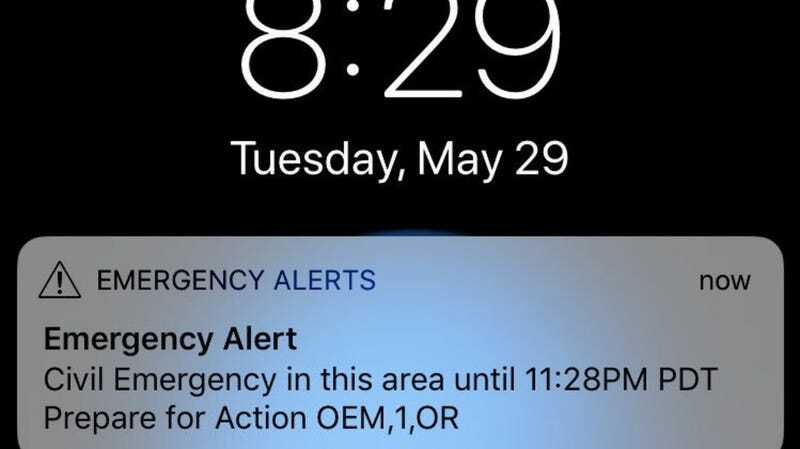 “Prepare for Action OEM,1,OR.” The Oregon Office of Emergency Management (OEM) later released a statement saying that the alert was originally intended to inform the public that the drinking water in the city of Salem had been found to contain low levels of cyanotoxins. “There were additional details that were supposed to go out, but for some reason, it went to the default message instead,” Cory Grogan, a spokesman for OEM, told KATU 2. In a longer statement to the news station, the agency’s director, Andrew Phelps, wrote, “OEM apologizes for the confusion and anxiety this incomplete message caused.” Phelps said that the agency is “conducting a forensic analysis of the steps we took to send the message and ensure our procedures are written and practiced in a way that will prevent a confusing message from being sent from our system in the future.” He also claimed a minor victory, saying, “The geographic reach of this system worked as expected.” So, you know, all the right people were properly sent into a panic, just for the wrong reason. The real reason does sound somewhat serious. Residents of Salem are being warned that children, infants, pregnant mothers, and those with compromised immune systems should not drink the tap water or give it to their pets. The toxins found in the water can cause an upset stomach, vomiting, diarrhea, and possible liver and kidney damage. There’s no word on when the issue will be resolved. 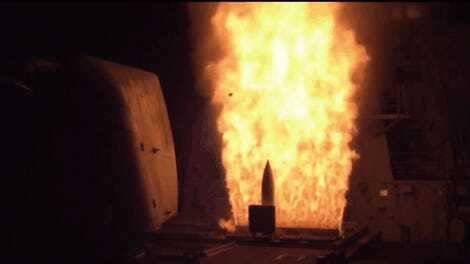 A string of high-profile false alerts have made news in recent months, most prominently a message sent out in Hawaii that warned of an inbound ballistic missile threat. The Hawaii Emergency Management Agency’s explanation for what happened changed several times in the aftermath of that screwup. Some users on the OEM’s Facebook page appeared to express skepticism of the official explanation. “This will be an interesting story for the next week to see who gets listed on the board of shame next to the Hawaiian missle alerter,” one commented. Thankfully, The Purge did not begin in Oregon last night, but it sounds like people in Salem should take care with their drinking water and hopefully this snafu will raise that awareness even higher.